As a leading exhibition stand contractor we certainly know a thing or two about exhibiting and we want to share that knowledge to help you maximize your exhibiting experience. This section of our site offer advice, tips, articles, case studios and infographics, all of which are aimed at helping you get the most out of your exhibition experience. 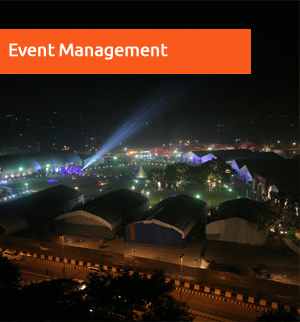 However you need to buy into exhibiting in the first place and choice the right event for you. 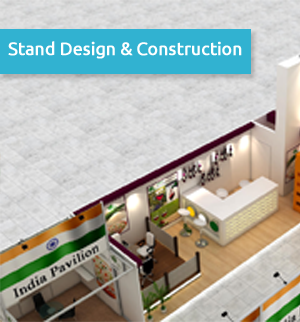 Exhibition are the most effective face-to-face communication tool in the marketing mix. Exhibitions bring together suppliers, buyers, purchase influencers, consultant and the media, and provide a platform to launch new products, generate media coverage, build brand awareness, generate leads and retain existing customer. Visitors have taken the time and effort to attend the exhibition, so they are all serious prospects. Before making a commitment to exhibit, make sure you have set specific objectives for what you want to achieve. Who is organizing the event? How established and credible is the organizer? Does it run any other events? Find out how the organizer attract visitors. Do they count on past attendees to advertise? Employ caution with new exhibition and do your homework. Contact the organizer for specific information on the exhibition, including number of past attendees, who will be attending this year, and details on how many and who will be exhibiting. Who is the target audience? Will you meet the potential customers? How long has the event been running? Is it a premier event? Is it perceived in the industry as credible? What are other events in the market? How does this event compare to its competitors? Does this event clash with any of them? What about your competitor? Is the event made up of rival companies or competing products? What are they doing? How many rival companies or competing products will be present? What is their commitment to and exposure at the event? Who are your competitors aiming to target? What visitor will they be interested in? Will the event give you leads? If so, what kind? Sales? General enquiries? Does this event work well with your overall marketing strategy? What are the PR opportunities? Trade magazines? Show website? Promotion leaflets? Appointments with journalists? How will this events make a different to your brand? Is there an apportunity for branding the venue? Will visitors be sufficiently exposed to your brand? Does the event work with your brand strategy? Should be really be at this event? Is it something you need to be at because it will generates leads, promote your brand, etc? Or is just something you would to do?